Our main feature is The Cat and the Canary (1927), directed by Paul Leni, and starring Laura La Plante, Creighton Hale, Flora Finch and Tully Marshall. This comedy horror film revolves around the death of Cyrus West, who is Annabelle, Charlie, and Paul’s uncle, and the reading of his will 20 years later. Annabelle inherits her uncle’s fortune, but when she and her family spend the night in his haunted mansion they are stalked by a mysterious figure. This was German Expressionist filmmaker Leni’s first film for Universal, having been invited to join the studio by it’s head Carl Laemmle. 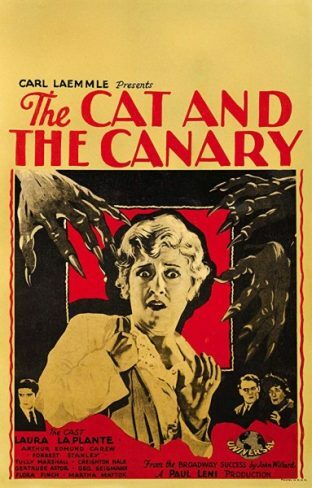 His style of directing made The Cat and the Canary influential in the “old dark house” genre of films popular from the 1930s through to the 1950s. This is a 35mm restoration and will be introduced by Kevin Brownlow. Piano accompaniment by Jeff Rapsis. Jeff is an American accompanist from Boston and played at the Bioscope previously for Salt for Svanetia (1930). 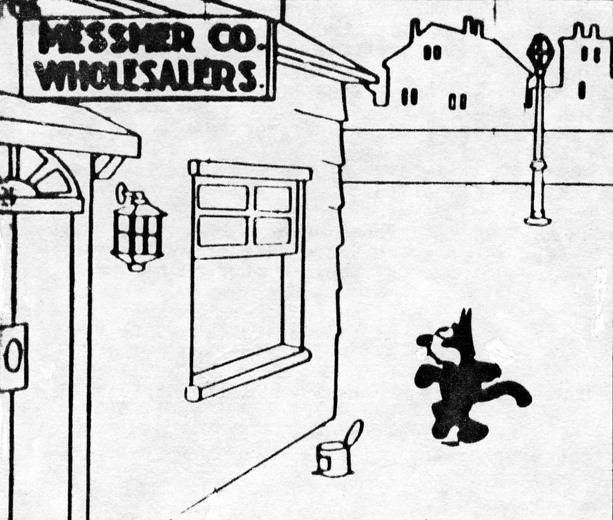 His website is http://silentfilmlivemusic.blogspot.com/p/upcoming-silent-film-screenings.html. 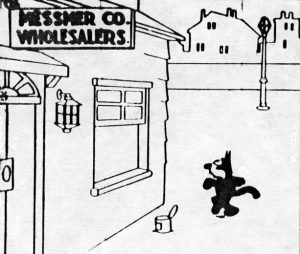 To celebrate the hundredth anniversary of Felix the Cat, part one of the programme will be dedicated to Otto Messmer’s famous feline creation.